GIS Venue Management, the passionate core of the venue industry, deploys the full range of resources available at GIS Taipei Tech Convention Center, with specialty in running and managing venues. GIS Taipei Tech Convention which is allied with an in-depth appraisal of your exact needs guarantees the maximization of your venue efficiency with expert understanding in convention and exhibition management. 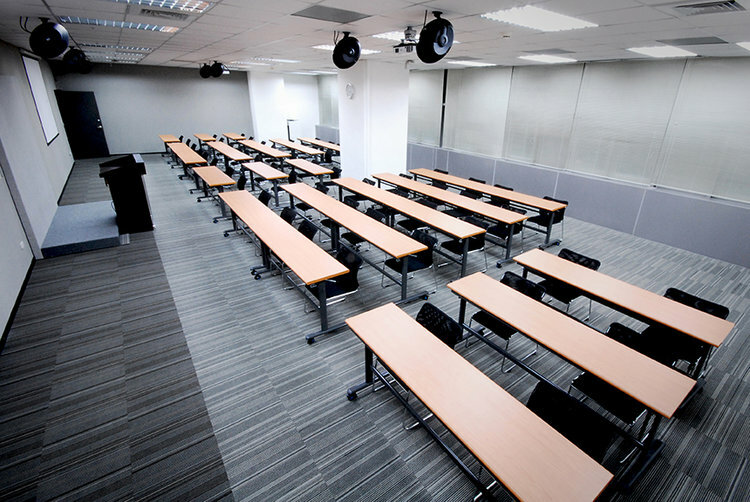 GIS Taipei Tech Convention Center, a highly comprehensive network of suppliers and efficient operations team, customizes conference spaces to fit you. 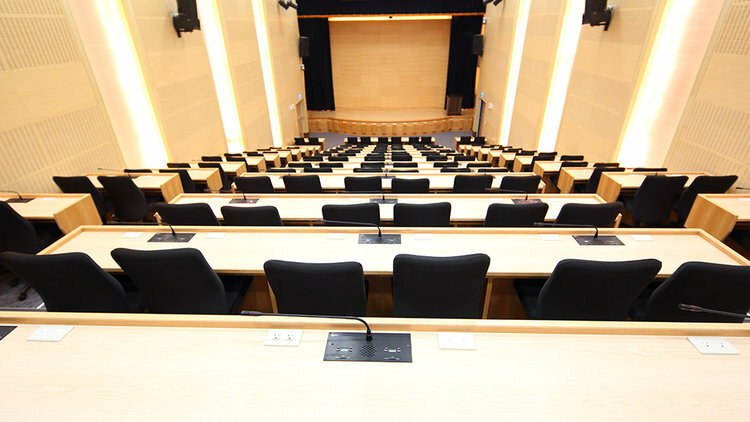 With professional team, GIS Taipei Tech Convention Center plans your conference space in advance and manages it on-site on the day to ensure a success. Stops: You will need to exit the airport, and find the transfer shuttle bus from the Airport to the THSR station (present your boarding pass from your flight). At the Taoyuan THSR, buy a ticket for Taipei. After disembarking the THSR at Taipei Station, you need to find the MRT Blue Line and board the MRT travelling towards Nangang Exhibition Center. Get off the MRT at Zhongxiao Xinsheng (this is the second stop from the Main Station), and take Exit No. 4 upon arrival (Look out for the sign reading National Taipei University of Technology). Stops: Upon arrival you must take the " National Express No. 1" Bus. Make sure you are travelling North towards Taipei. Once you reach the Taipei Bus Station, you can either take the local bus or the MRT. If taking the MRT make sure you board the Blue Line with the MRT traveling towards Nangang Exhibition Center. Get off the MRT at Zhongxiao Xinsheng (this is the second stop from the Taipei Main Station), and take Exit No. 4 upon arrival (Look out for the sign reading National Taipei University of Technology). Stops: Taiwan Railways provides various trains that travel to and from Taipei. If you looking to get to Taipei Tech via Railways, board the train that is traveling towards Taipei Main Station. Once arrived at Taipei Main Station, you can take the local bus or the MRT (Blue Line). Board the MRT heading for Nanagang Exhibition Center. Get off the MRT at Zhongxiao Xinsheng (this is the second stop from the Taipei Main Station), and take Exit No. 4 upon arrival (Look out for the sign reading National Taipei University of Technology). Fare: Depending on the type of train type price, time, and service hours are subject to change. Stops: Depending on your location, transfer to and/or take the MRT Blue Line. Get off at Zhongxiao Xinsheng Station, and Taipei Tech is located at exit No. 4 (Look out for the sign reading National Taipei University of Technology). Stops: Bus numbers 299, 232, 262, 211, are the most common buses that travel towards Taipei Tech. You can ask the bus driver to assist you to Taipei Tech, or just be on the look at for Taipei Tech campus. But make sure to read the maps from posted at the bus stops, to make sure your heading the right direction and also to aid you in knowing in when to get off the bus. Service Hours: Read the times provided on the time table to make sure. Stops: It is recommend that if you want to take a Taxi - get to Taipei first or the taxi meter will run up a very costly fare charge. Also if taking a taxi, show the Taxi driver the schools name in Chinese or try pronounce the Chinese Name for Taipei Tech to save you some hassles.